WooCommerce provides a reliable way to run your eCommerce business. However, you need to reach out to your customers to grow your business. Take a look at the current eCommerce marketing trends – multi-channel marketing, omni-channel marketing and bulk products affiliate marketing tops the chart! All these are great but as a beginner, you need to start with low effort yet a promising quick revenue path. 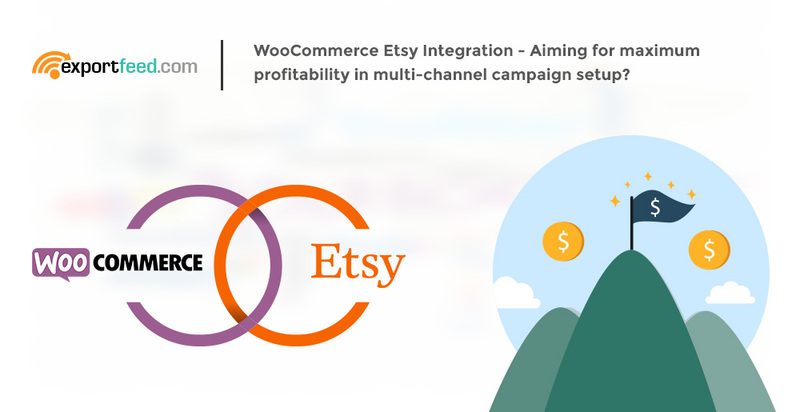 So, did you take a look at multi-channel marketing with WooCommerce Etsy integration campaign? What attributes are necessary for those product categories for a successful listing? How often should you update your products on Etsy marketplace and how much it costs? What are the best practices for integrating WooCommerce products on Etsy marketplace? Etsy is a marketplace well renowned to host handmade products. Though it has recently opened up for other manufactured products, the initial impression still holds strong. The long-term loyal customers shopping on this platform are also mostly looking for such handmade products. For this reason alone, if you are selling handmade products through your WooCommerce site, you shouldn’t miss to sell them on Etsy. Jewelries: Most of the times, jewelries are on the top of the list. If you are selling handmade jewelries such as necklaces, pendants, rings and such, listing them on Etsy will definitely increase your sales revenue. One important point to consider while selling these items is that you need to maintain the uniqueness of the product. Designs: Most of the times, printable designs are in high demand by the manufacturers. It works the same way as selling photography products. Further, if you want, you can also list the printed variations for your designs. Your design could be oart, wedding/birthday or other invitations or even designs for jewelries itself. Paintings for home decors also sell well on Etsy. Crafts: If you are selling some wooden or metal crafts in the form of sculptures or decors, you can get high cash value in return for these products. These products are mostly searched by people who appreciate arts and value them. You may be able to create a long term relation with the customers of these products if you are able to provide a happy post-sales customer service. 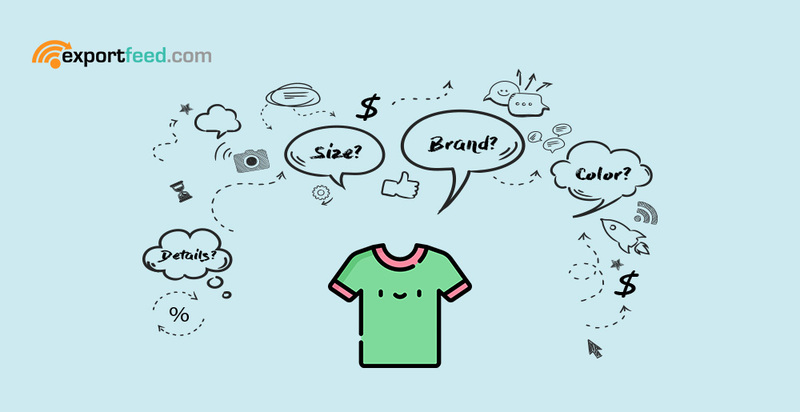 Clothing: The margin that you’ll be able to get may be low but you’re able to sell more in volume and get more customer reviews if you sell handmade clothing to happy customers. This is a good way to increase your seller reputation on Etsy marketplace. Sell knitted products for men, women or children and improve the seller ratings while increasing your revenue stream. Antique & Collectibles: There’s nothing that comes close to increasing your WooCommerce sales margin than selling vintage products on Etsy. So, if you are selling them through your WooCommerce only, you’re definitely missing out a business perspective. You are highly likely to find the customers for these products on Etsy than on any other marketplaces. When you already have your products listed on your WooCommerce based site, it shouldn’t be necessary for you to perform the listing task again – even on Etsy! Furthermore, if you are listing more than a few products, the listing task consumes time, makes you monotonous and increases the chances of errors. ExportFeed plugin grabs the necessary product data from your WooCommerce and compiles it into to create a proper listing on Etsy marketplace. However, note that, the required product data should be available on your WooCommerce site. Etsy has provided a specific product feed format. Based on the product feed format, the product information should be submitted to Etsy and we’ve incorporated this requirement in the ExportFeed plugin. Id, title, sku, item_group_id, quantity, description, price, image_link, state, when_made, who_made, is_supply, etsy_category, shipping_template_id. These are the required product attributes almost all of the products. Sales_price, sales_price_effective_date, category_id, processing_min, processing_max, taxonomy_id, weight, length, width, height, weight_unit, dimension_unit, materials, tags, currency, color, size, etc. Tip: As far as possible, while adding your products to the WooCommerce store, make a habit of adding all the available product information. Why is it important to send your product attributes on Etsy? Most of the people search for products on category page by using the filters. These filters are based on the attribute information so if you don’t send the product attributes, your product will not be displayed causing – lost sale! With the multi-channel marketing and selling practices, it is always recommended to keep your products and inventories updated on both the channels. First and the foremost reason for this recommendation is to help you avoid the problem of overselling. Overselling may not seem a huge issue at first. But, it only takes one experience with a stubborn customer for a rare product to destroy the goodwill and reputation to understand the practicality of this issue. If you are able to set your products to sync within every 1 or 2 hours, you will be able to reduce 80 – 90% of the overselling issue. However, as with the WooCommerce shop, it depends upon your server resources to keep products synced. 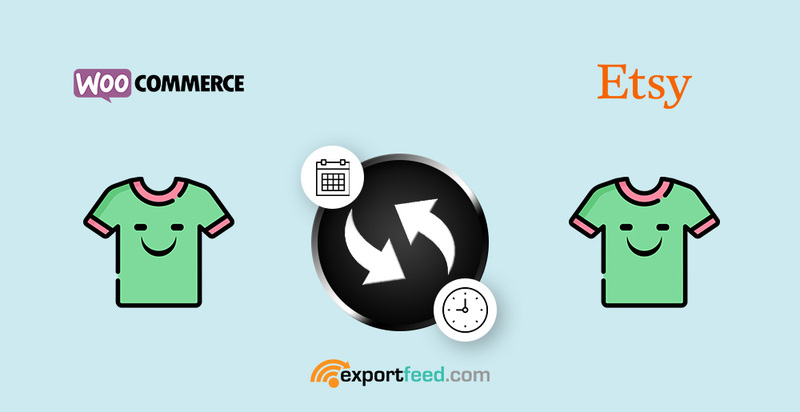 ExportFeed has offered you to schedule your product feed update interval in the plugin which allows you the flexibility to increase the sync duration or decrease the sync duration and save your server resources. You should update your products on Etsy when a corresponding change occurs on your WooCommerce shop, particularly about the inventory and pricing. Etsy charges $0.2 as listing fee and your listing is active for 4 months, updating them will not incur additional cost, sales resulting in transaction will trigger transaction cost, but if you delete the listing and create it again, it will result in $0.2 once again. We’ve already discussed the type of products of your WooCommerce to list on Etsy marketplace. But, those products should be placed under the right Etsy category, they should be listed with the appropriate product details, proper product attributes should be submitted for filtered search results and even the shipping and such information should be provided clearly. Your product listing on Etsy should provide all the required information to the customers to help them with their buying decision. Moreover, provide a clear vision regarding the time and cost required to get the product. Use a product listing tool, listing bulk products of WooCommerce on Etsy will be a time consuming task and prone to errors as well. You can start with the free trial of ExportFeed plugin for Etsy. It’ll allow you to manage up to 50 SKUs on Etsy. Make sure that you manage the inventories of your WooCommerce platform. The common “available” and “unavailable” values for inventories is not accepted. Even if you haven’t managed, ExportFeed can help you list your products on Etsy. Select the products of your WooCommerce that are highly likely to be sold on Etsy marketplace. Remember, Etsy is now open to other products also, not only the Handmade products. The more your Etsy store looks full, the better chances you have in getting more customers. Tip: Select to upload the products belonging to the same niche. For all those products which you wish to sell on Etsy, provide as much information as you can – refer to the required attributes and additional attributes given above. Even if you haven’t listed them on your WooCommerce, ExportFeed may be able to include that in your product feed for Etsy. While sending your WooCommerce product list /product feed to Etsy, make sure that you send the value for “State” as “Draft”. This will allow you to check and change products on Etsy seller platform if necessary. As for the Product Titles, manage them within the 80 characters and Product Descriptions around 180 characters. Include information that the customers want the most on product description. Etsy allows you to send 9 images for a product at max, be a bit creative and use professional quality images but don’t use unnecessary or promotional texts in the image. Make sure that you use a Fixed Shipping plan on Etsy as this is only supported through API. This will help you list bulk products on Etsy by using a product feed management tool. Make a thorough research on the competitor products for pricing and their unique selling points. You don’t want your listing to expire after 4 months without selling a single unit. Always remember, it is the per and post sales service/communication that helps to increase your business so never fall behind on the customer service part. 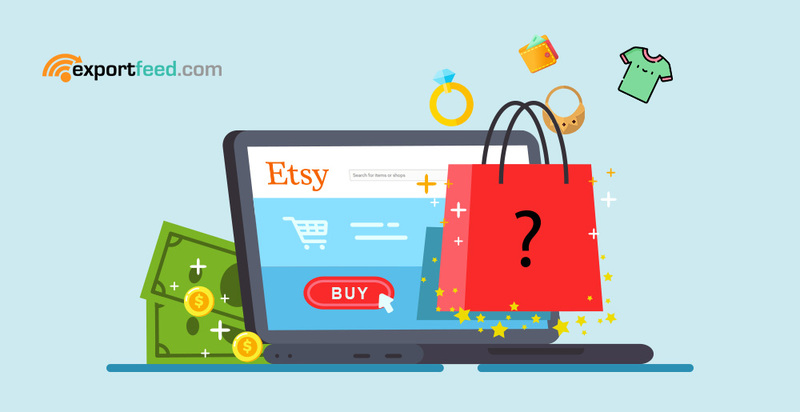 Once you start selling effectively through Etsy marketplace, you will want to start looking for other similar marketplaces, or look for other products to sell on Etsy. Here, we’d like to abruptly assume that you’ll want to go with the first option. The reason being that, at this point, you have already managed your WooCommerce product information and also have the data to guide you about the time and product for profitable promotions. Here are some of the popular sales channels that you can start immediately. However, these channels alone are also great when it comes to increasing sales revenue – no doubt about that. Bonanza: Bonanza is a specific marketplace which works in a similar way that Etsy does. It also allows selling the products that you can sell on Etsy. Furthermore, if you already have a listing on Etsy, you can even import your products from Etsy once you have active listing on that platform. If you don’t want to import all your Etsy listings on Bonanza or want to customize your listings, you can use ExportFeed to create WooCommerce Bonanza product feeds also. Artfire: Artfire is a merchant alike Etsy in many ways. This merchant classifies products broadly into Handmade, Vintage, and Craft supplies. If you are selling such products on your WooCommerce shop, it is a good idea to list them on Etsy and try out Artfire as well. You can request us with for your WooCommerce to Artfire product feed with the feed specifications and we’ll be happy to check it out for you. Google Shopping: Once you create your product campaign on Etsy, you can try the other type of sales channel. Google Shopping is a comparison shopping engine and rather than charging you the transaction fee, you pay for the clicks that drives qualified customers to your site. You pay Google Shopping through Google Adwords and your budget is always under your control. Facebook: Facebook has taken the social eCommerce to a next level. This platform offers you abundance of tools to increase the sales of your WooCommerce products. You need a Facebook page to start your shop and start selling on Facebook and and connect it with the business center to upload your WooCommerce product catalog for Facebook. You should also integrate Facebook pixels on your WooCommerce site. There are other merchants also which will help to increase your WooCommerce sales. Check the list of merchants supported by ExportFeed here. 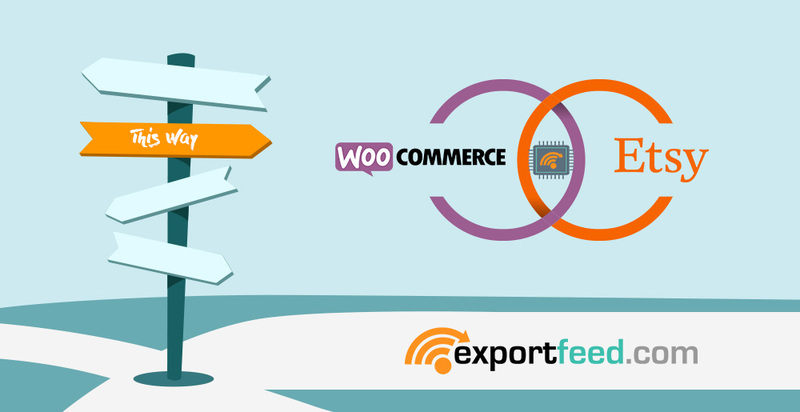 What makes ExportFeed the best plugin for WooCommerce Etsy Integration? Keep your WooCommerce Etsy Feeds up-to-date – Always! Email, live-chat and support tickets including demo scheduling to help you sell on Etsy. Start WooCommerce Etsy Integration Today! 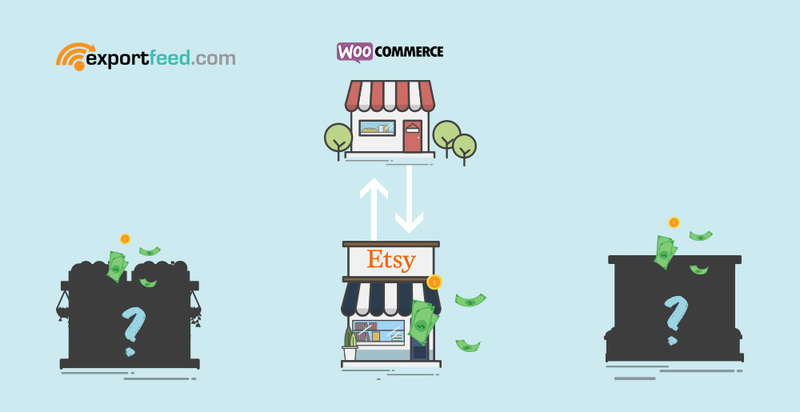 Sell your products from WooCommerce to Etsy! plus shipping and configuration settings.